Berries are recognized as some of the most powerful superfoods in the plant kingdom. They're rich in disease-fighting antioxidants, they're heart-healthy, and they're considered to be vital foods in anti-aging medicine. On top of that, they’re delicious. 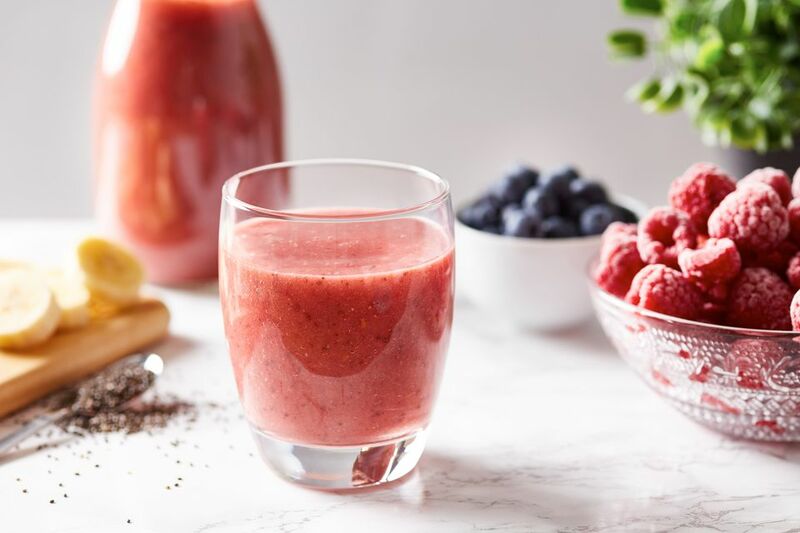 This gluten-free, dairy-free antioxidant berry banana smoothie makes a great breakfast in warm weather, or a yummy pick-me-up in midmorning or mid-afternoon. Blend all ingredients in a blender on high speed until smooth. If you can't find fresh berries, use frozen. Freezing doesn't detract from their nutrients. Better yet, buy fresh berries while they're in season, seal them in freezer-proof sealable bags and save them for the winter months. Use this smoothie as a meal replacement when on the go. It provides plenty of energy and it helps to control cravings if you get the munchies. Dairy variation: This recipe is dairy-free, but you can add yogurt or skim milk without detracting from the smoothie's antioxidant properties if you don't follow a dairy-free diet. You can also use nut milk. Sweeten it up: Add honey for sweetness or pomegranate juice for extra berry flavor. Adding liquid to the blender will thin out the berries a little, but it will allow them to move more freely in the blender. Add liquids a little at a time, so you can monitor the smoothie for the consistency you like best.